Check Rates & Availability at Sun Suites Of Birmingham! Sun Suites is a leading economy, extended stay lodging chain, featuring clean, convenient, quality accommodations, specially designed for the extended stay guest. 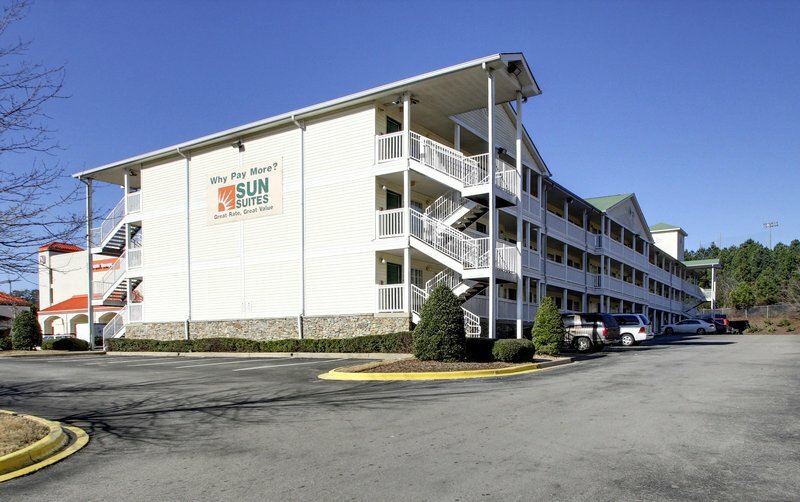 The Sun Suites of Birmingham is a 3-story building featuring 135 guestrooms, complete with apartment size kitchens and comfortable living areas. The Hotel is conveniently located with easy access from the interstate and minutes away from the Galleria shopping area. Great restaurants nearby. Free parking. Please note: Weekly deposit of 100 USD total for weekly or monthly cash-paying guests. Cancel not permitted and will result in penalty of 100 percent of stay.